Pay per click (PPC) advertising is a highly effective digital marketing strategy that can boost the lead generation potential of your B2B website. PPC is a form of online advertising, where tailored adverts appear in search engine results when relevant keywords are searched for. As the acronym suggests, a fee is only charged when a PPC advert is clicked. When managed effectively, PPC advertising can reach specific target audiences and direct relevant prospects to your website. 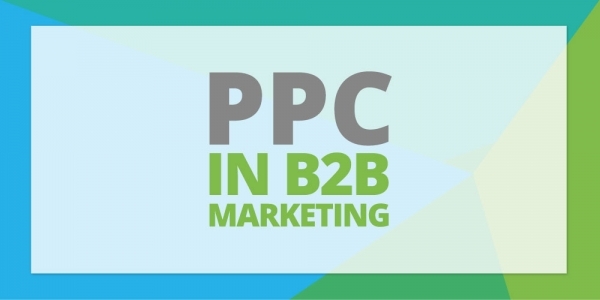 PPC advertising enables B2Bs to reach the right prospects at the right time. It is often a key aspect of B2B digital marketing strategy, and this is insight will explore how important PPC advertising can be for your B2B. In contrast to search engine optimisation (SEO) which is a long term digital marketing strategy, PPC advertising can direct targeted traffic instantly, even if your B2B website doesn’t organically rank for the relevant keywords. This can be hugely beneficial for newly launched websites, or if your B2B wishes to promote and increase lead generation for new service lines. PPC advertising is highly controllable. From [exact match] keywords and negative keyword lists, through to location targeting and daily budgets, PPC advertising can target only the prospects that you wish to attract. Whether your B2B is looking to increase website visits, grow lead generation or keep clients coming back for me, PPC can create more sales opportunities for your B2B. Differing from traditional marketing strategies, PPC advertising can be measured and analysed in real time. Effective PPC management can track PPC successes and adjust tactics in an instant. When coupled with website analytics and conversion tracking, your return on investment can be attributed to specific campaigns, ad groups and even keywords. Whilst your B2B should organically rank for branded keywords already, PPC advertising has many benefits for protecting your brand. By appearing in both organic and paid search results, your B2B can deliver a stronger brand message, maximise exposure and safeguard against competitors. Furthermore, brand campaigns in PPC advertising generally achieve high click through rates (CTR) earning higher quality scores, which can lower costs per click. Optimising your B2B website for the right keywords is hugely important to target the right prospects. The insight from PPC advertising can not only improve your attributable return on investment but also develop your SEO strategy, helping understand which keywords your website should be optimised for. PPC advertising can help uncover issues with your website and sales pipeline. If the right prospects aren’t converting on your website, you should want to find out why. Analysing PPC traffic can demonstrate where your website needs improvement. Conversion rate optimisation (CRO) is an ongoing process to increase lead generation quality and quantity. Hyperbrand is a Google-certified digital marketing agency that can help your B2B make paid search work smarter. Our PPC experts can help your B2B be seen at the very moment prospects are searching for your services, outperform your competition and ensure you maximise your attributable return on investment. Want to increase lead generation via PPC advertising?